Joseph Bronstein’s parents wanted their son to become a lawyer. However, Joseph was more interested in art than in law. He left for Odessa where he studied at the School of Fine Arts, and took part actively in the Russian Revolution. Later, he went to Romania where he took drama classes. He left for Germany shortly afterwards where he studied painting. He arrived in Paris in 1924 and immediately enrolled in the Ecole de Beaux-Arts. Joseph Bronstein mainly painted landscapes and portraits. He often had his artist friends pose for him, and notably painted a portrait of Ephraim Mandelbaum. 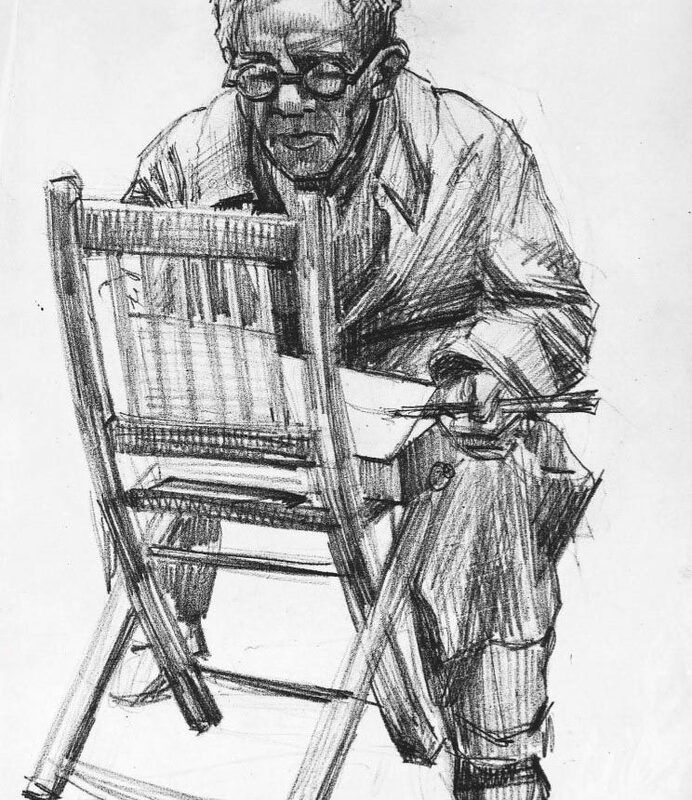 He collected the work of Ephraim Mandelbaum, Isaac Dobrinsky, Henri Epstein, Pinchus Krémegne, and took an interest in Léon Indenbaum’s sculptures. During the war, he enlisted in the French army but quickly left it. In 1940, he tried to get to the Zone libre (free zone) but was arrested by French police officers in Châteauroux. Joseph Bronstein was deported on March 3, 1943 on convoy number 51. He was murdered in Auschwitz.